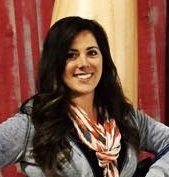 As a graduate of Palmer College of Chiropractic West, Dr. Becca Schroeder practices Palmer-specific diversified technique. Into her patients' care, she incorporates soft tissue work such as myofascial release, kinesiotape application, Proprioceptive Neurofacilitation (PNF; an active form of stretching), and instrument-assisted soft tissue mobilization (IASTM). Look here to learn more about the therapies Dr. Becca offers. Although these additional techniques distinguish her from her mentors, her style of chiropractic adjustments resemble that of her large chiropractic family. Dr. Becca is the 67th chiropractor in her family, which is 4 generations deep with chiropractic doctors. Dr. Becca grew up in a home that utilized chiropractic care for everything from a stuffy nose to a sprained ankle. The health she witnessed in her own life due to chiropractic care and the testimonies that her relative doctors shared inspired her to become a chiropractor herself. You will see that the passion for wholistic health through her hands is vibrantly apparent. It's in her blood! Dr. Becca knows that the human body is naturally equipped with the tools it needs to prevent and heal from disease and injury. Dr. Becca will help you access your own natural healing tools as quickly and comfortably as possible. Through her care, you will reach your full health potential and live with intent and joy again, excelling in the things you love! "I challenge you to change the way you view healthcare. With chiropractic, you will reach your highest health goals and optimize your quality of life in the process."